Our teen group: Creative Artistic Reading Team (or C.A.R.T.) is an after-school group that meets weekly from 3-4:30 in the Gathering Room. Students have the chance to make new friends, explore theme-based projects, and just have fun! Tweens and teens welcome this opportunity to develop independence skills and give input to our Young Adult collections and programming. 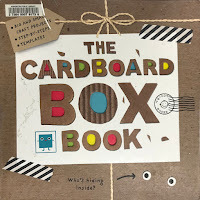 Join Mrs. Murphy as we explore books about our theme and create projects. No registration required. Bring a friend or two! For ages 10-16.